I have a secret game store. It's not hidden, or out of the way. It's in a major city, full of gamers. But almost every time I go to visit family, I stop into this store and come away with a treasure. Maybe you've experienced the thrill of walking into a game store and finding a treasure. So what's your story? What was on the shelf that made your jaw drop? In this particular store I've picked up a copy of Stefan Feld's Luna., Soltaire ASL (which I turned around and sold for 3x what I paid for it), Princes of the Renaissance, the expansion for Pillars of the Earth, and the last time I was in I snagged a copy of the expansion map for Hansa Teutonica. 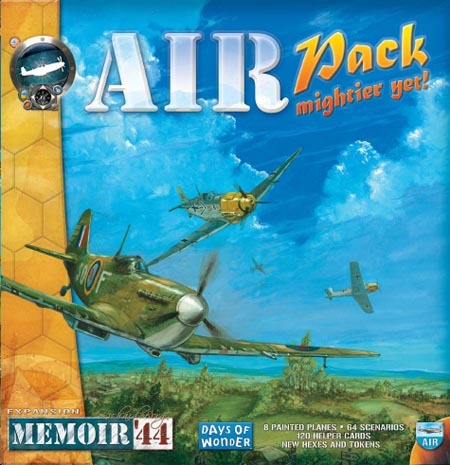 But my favorite find there was a copy of the Memoir '44 Air Pack. Well out of print, even then, I picked it up for retail. And we've had great fun with it. Tell us your story! And don't even think about asking where my store is. I'll never tell!